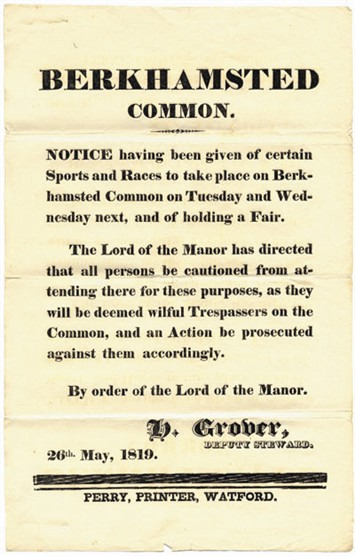 The Earl of Bridgwater threatened to have anyone going to this fair at Berkhamsted Common arrested! In the same bundle of papers is a letter objecting to ‘women running for a prize’ as ‘highly improper’. 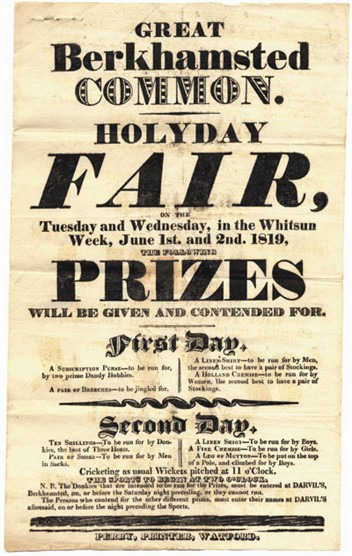 The parish constable was concerned to know if the ban extended to the annual game of cricket, which had been played on the Common ‘time out of mind’ (for as long as anyone could remember).